Minister of State for Petroleum Resources, Mr Ibe Kachikwu, has vowed to resign in by 2019 if Nigeria continues to bring petrol into the country. He promised to make refineries in the country work by that time to achieve self-sufficiency in the production of fuel needed by residents of Nigeria. However, Mr Kachikwu, during an interview on BBC World Service programme, HardTalk, which was anchored by Mr Stephen Sackur, did not categorically state when in 2019 is the target. “2019 is the target time, I target 2019 and if I don’t achieve it, I will walk (away). I put the date and I will achieve it,” he said on the programme. The tenure of the present administration of President Muhammadu Buhari ends on May 19, 2019, but he can seek a re-election. But if Mr Buhari re-contests and loses, it means his cabinet would go with him and if he is re-elected by Nigerians to govern them for another four years, he might decide to choose a new cabinet or retain some of few of the Ministers, including Mr Kachikwu. The Petroleum Minister, speaking further in the interview, which lasted 23 minutes, said the Federal Government was looking at diversifying the economy from oil. He also praised himself for turning the Nigerian National Petroleum Corporation (NNPC) into a profit-making agency. “I took the NNPC and made it a profit- making organisation. This is the first time such is happening. I reshaped the organisation. I removed cash call deficits of over $ 6 billion and renegotiated it. I will deliver on the refineries and I’m committed to it. 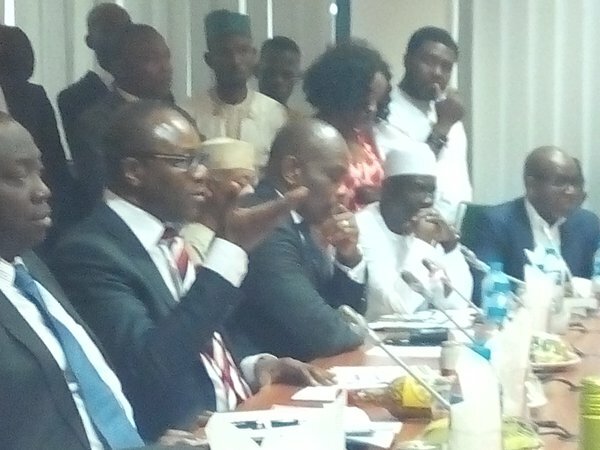 I will deliver a future for oil that makes sense for Nigeria,” Mr Kachikwu said.